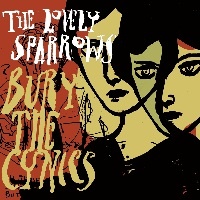 The Lovely Sparrows (MySpace) embark on an exciting journey with Bury The Cynics, and while they loose much of the excessive percussion I loved so much on their EP, they replace it with heightened production value and an array of additional instruments. Or, rather, the additional instruments are brought to the foreground and allowed to shine. The instrumental emphasis on Pulling Up Floors was a steady presence of sharp flutes and cymbal heavy percussion. Frontman Shawn Jones strays from this early pleasure on Bury The Cynics, adding more focus on his skillful finger plucked guitar parts and widening the instrumentation to include a heavier emphasis on the lead guitar. 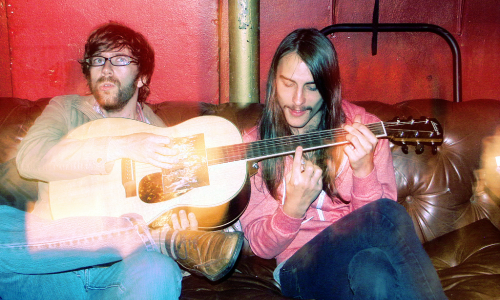 Take the stripped down “Larks And Owls”; the song is quite minimal, even in comparison to others on Cynics, yet the song’s beauty rings forth with ease. There are more backing vocals here, too, seen as early as opening track “Wraith”, which debuted on tape as an on-air performance from Jones’ Austin hometown station KVRX then appeared again on the Sparrows’ Daytrotter Session. Multi-instrumentalist Lauryn Gould also adds backing vocals to a few songs, giving a female touch to several tracks—though Meaghan Perry may take her place at various times on the album. He’s right: it’s a grower. The more you listen to it, the more you’ll hear new parts, and the more you’ll dig it. Bury The Cynics will ultimately go down as one of my favorite albums of 2008; I have no doubts about that. I know frontman Shawn Jones and I know label head Jon Rooney, but I doubt either of them knew that pushing back the release date for Bury The Cynics would land it on my 28th birthday. (That’s today, September 9th, by the way.) This is the best present I could ask for!